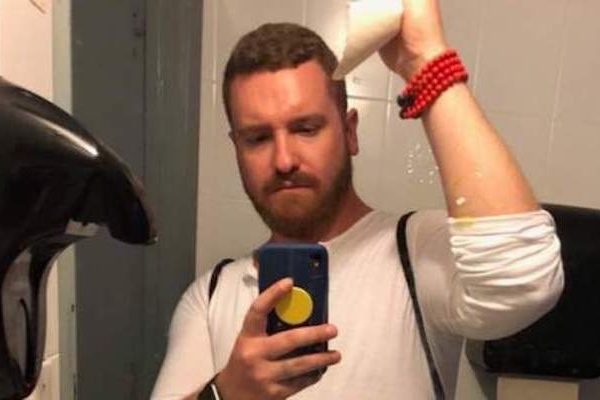 Three gay men were egged outside of a gay bar in the LGBT-friendly town of Wilton Manors, Fla. on Monday night, according to ABC affiliate Local 10. “They were definitely shaming us for being something that we feel like we were born with. I feel no shame for who I am,” Carter continued. Egg yolks were also found on the sidewalk outside of Out of the Closet thrift shop, which is affiliated with the AIDS Healthcare Foundation, and outside of the Wilton Manors police station. Carter posted a picture of himself covered in egg yolk on Facebook but says he wasn’t scared. Instead, he says he feels bad for the perpetrator. Gym Bar took a light-hearted approach to the incident by having a promotion on egg salad sandwiches on Wednesday.